Dr Davenport graduated from Texas Chiropractic College in 1996. 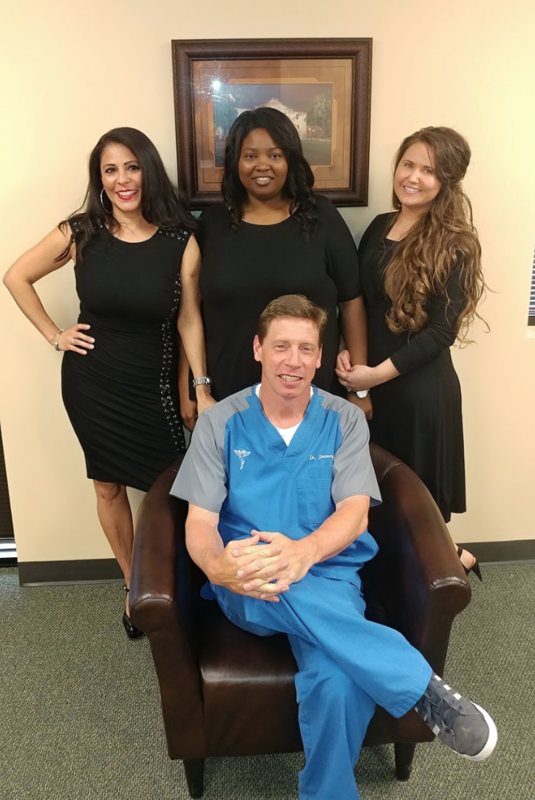 He opened the clinic in 1997 and has been practicing chiropractic in the Atascocita area for over 21 years. Dr Davenport graduated from North Shore High School in 1988 where he played on the Soccer and Golf team. He was awarded a soccer scholarship to play soccer for Centenary College in Shreveport , Louisana. He played four years varsity soccer and ran one year cross country track. Dr Davenport graduated from Centenary College with a degree in biology in 1993. He was on the Deans' academic list for 3 years. From his many years of playing soccer, Dr Davenport learned to appreciate the benefits of chiropractic care. He was seen by his personal chiropractor on a regular basis . This lead him to go to Texas Chiropractic College and get his doctors' degree in chiropractic care. There he attended 3 years of school and 6 months of internship. He was fortunate to do his internship with his personal chiropractor, Dr Darrell Lindsey who has had a Chiropractic practice for over 35 years. Dr Davenport is also certified in Accupuncture and Nutrition. Dr Davenports' hobbies are fishing, duck hunting, and golf. Dr Davenport has one son currently attending Texas A & M Petroleum Engineering classes.